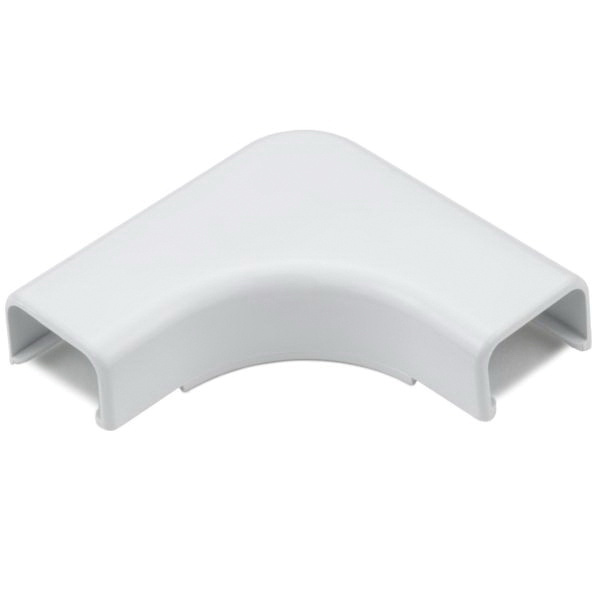 Hellermann Tyton 3/4-Inch Elbow cover is compatible to use with low voltage raceway. The cover has a dimension of 2.339-Inch x 2.339-Inch x 0.607-Inch. The cover in white color, has durable PVC construction and aesthetically organize and route communications wires, including high-speed UTP cable and fiber optic cable from the telecom room to the work area. With 1-Inch bend radius, the cover features flexible hinge that enable raceway to endure numerous openings without creating discoloration or stress cracking. Cover is RoHS compliant.